Hey guys! 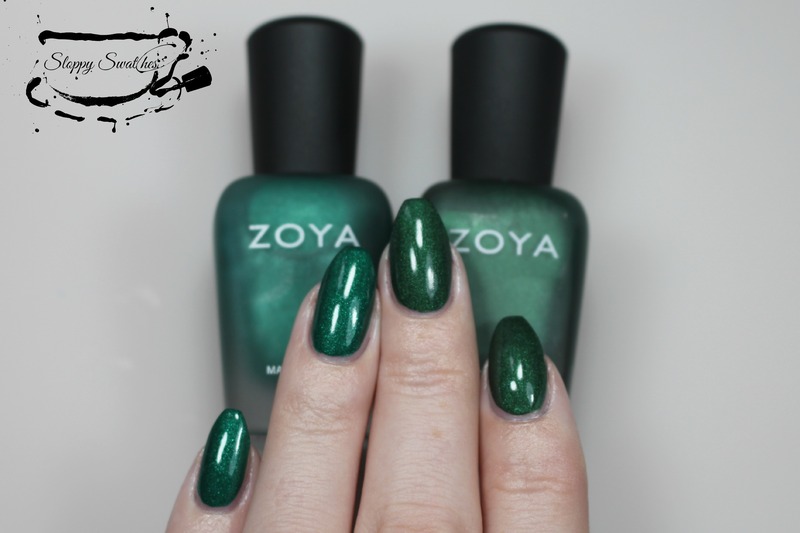 Today I have some comparisons of the similar shades from the 2014 and 2015 Zoya Matte Velvet Holiday Winter collections! I’m going to begin with Sue and Aspen, both from the 2015 collection. I feel like these are both gorgeous, unique polishes. 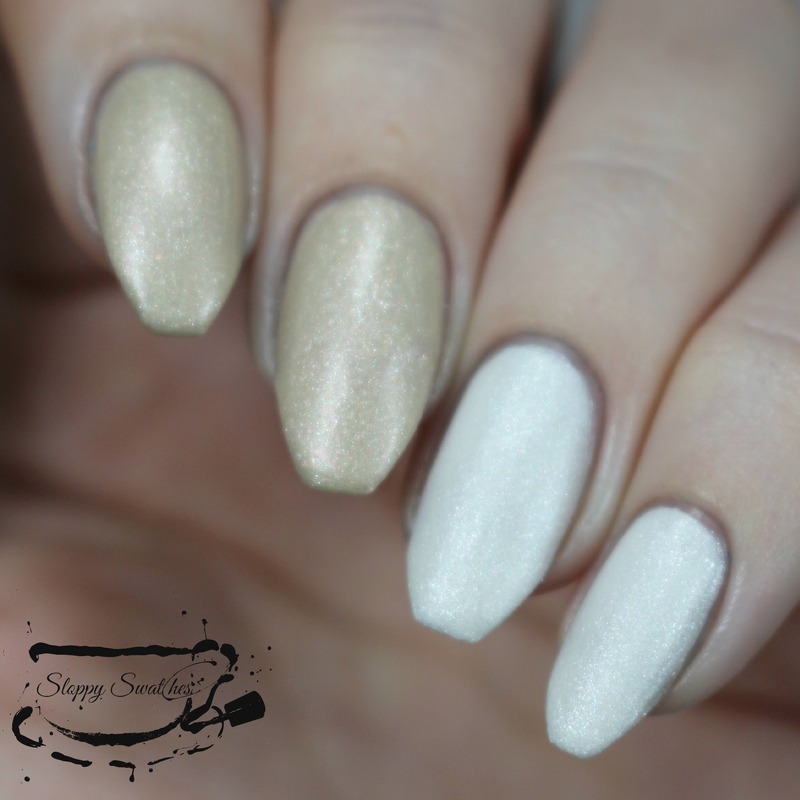 Formulas are okay, 3 thin coats for full opacity on both. Up next are the purples. 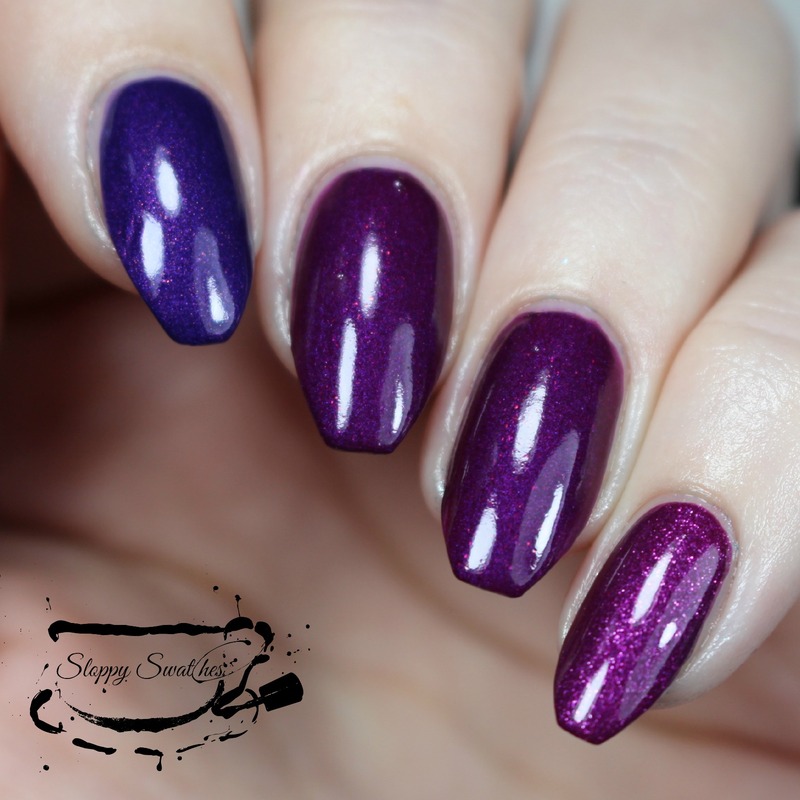 both Harlow and Savita are from the 2014 collection, Iris is from the 2015 collection. 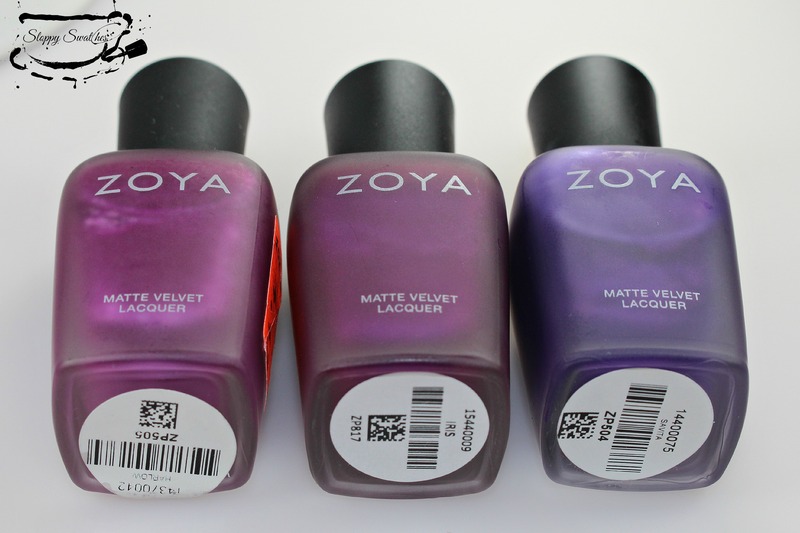 From L to R: Harlow, Iris, Savita matte at 2 coats. 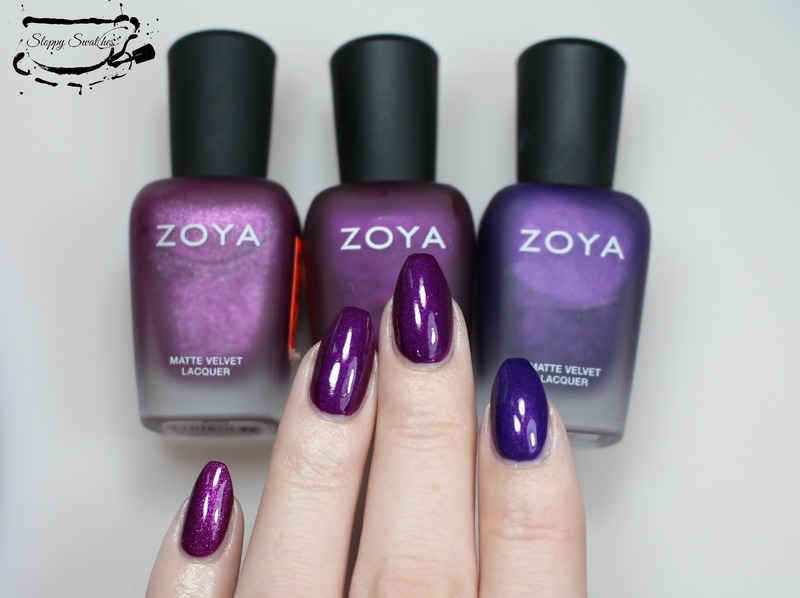 From L to R: Savita, Iris, Harlow matte at 2 coats. While Savita is a little more darker toned than Iris or Harlow, Harlow and Iris are really really close. I think the only difference is that Harlow has larger silver shimmer whereas Iris has a much more fine shimmer. All have easy 2 coat formulas but you may not need to spring for both! Now on to the greens! Veruschka is from the 2014 collection and Honor is from the 2015 collection. 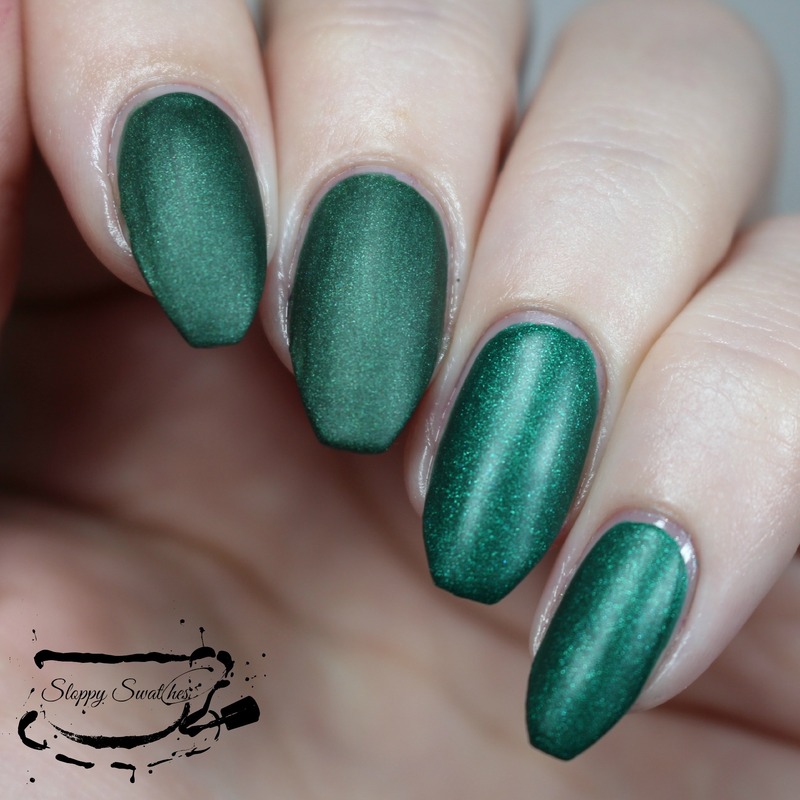 Matte these greens may have a shade or two difference but they are almost literally identical when topcoated! If you already have Veruschka you may not need Honor. 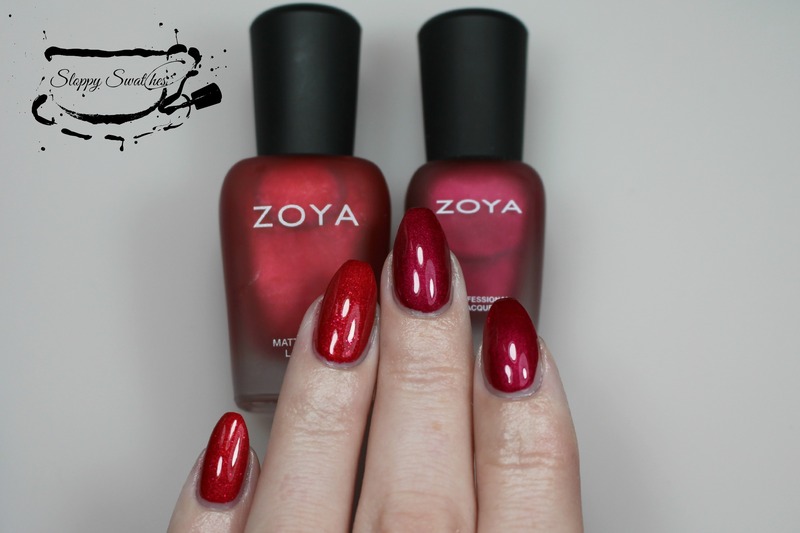 Next up are Amal from the 2015 collection and Posh from the 2014 collection. 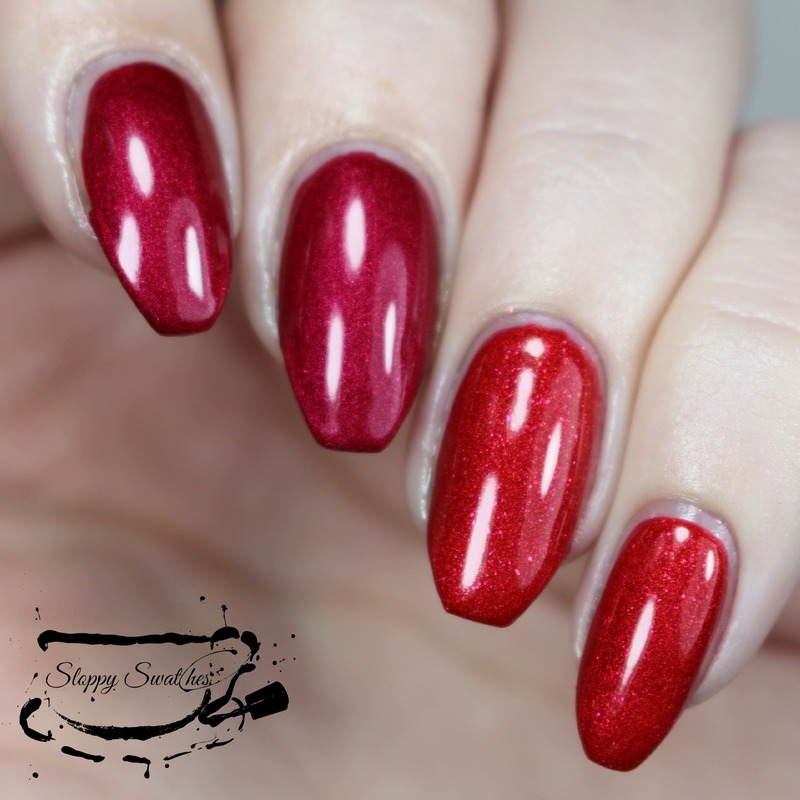 I may just be a red lover but I think that these are different enough in hue and shimmer to warrant getting both! 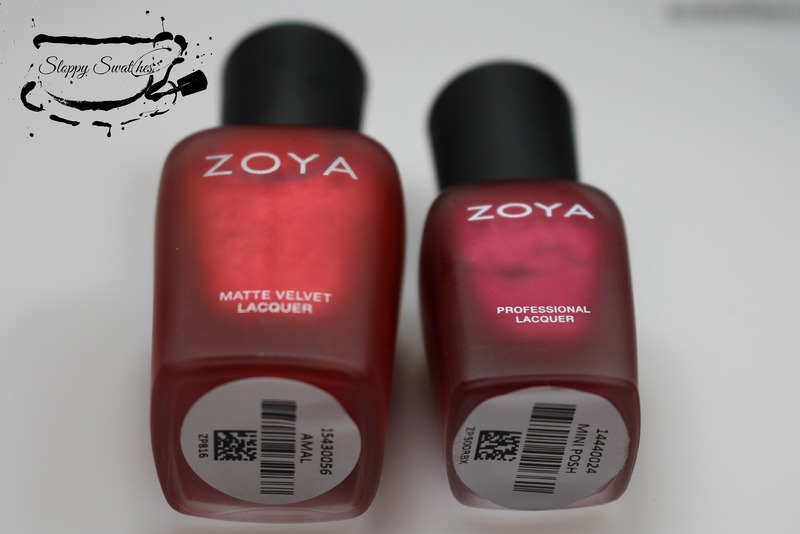 Both really great 2 coat formulas and definitely among my favorites in each collection! 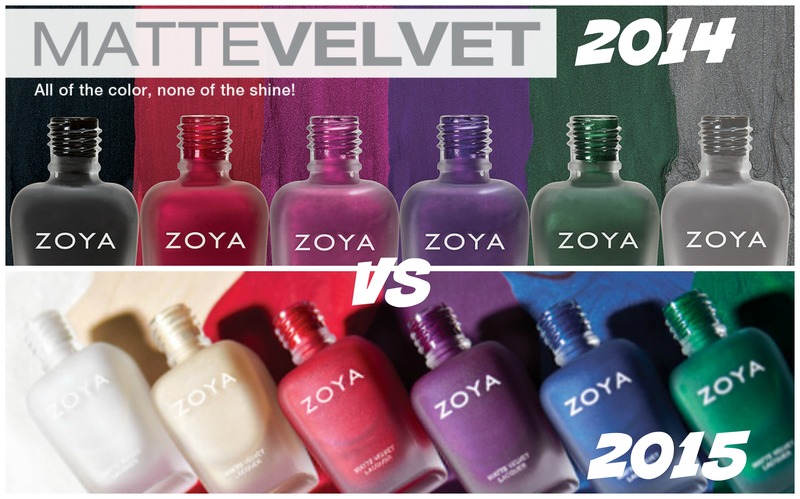 So that rounds out my comparisons of some of the similar colors in both matte velvet collections, I hope you found this helpful and thanks so much for reading along! 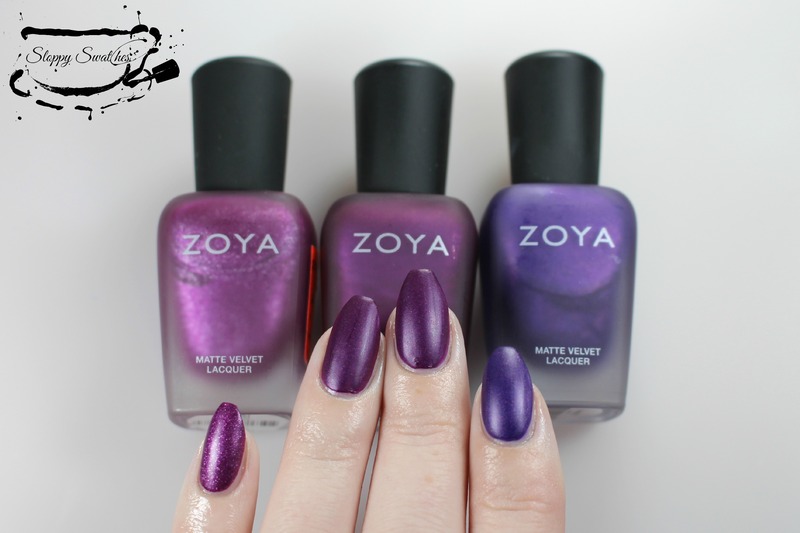 Which is your favorite polish from the Matte Velvet line? Love the comparisons! The new ones look brighter and more sparkly. I think all but the purple are much more sparkly! The newer ones look more satin and less matte, did you notice it in person or is it more just in the pics? 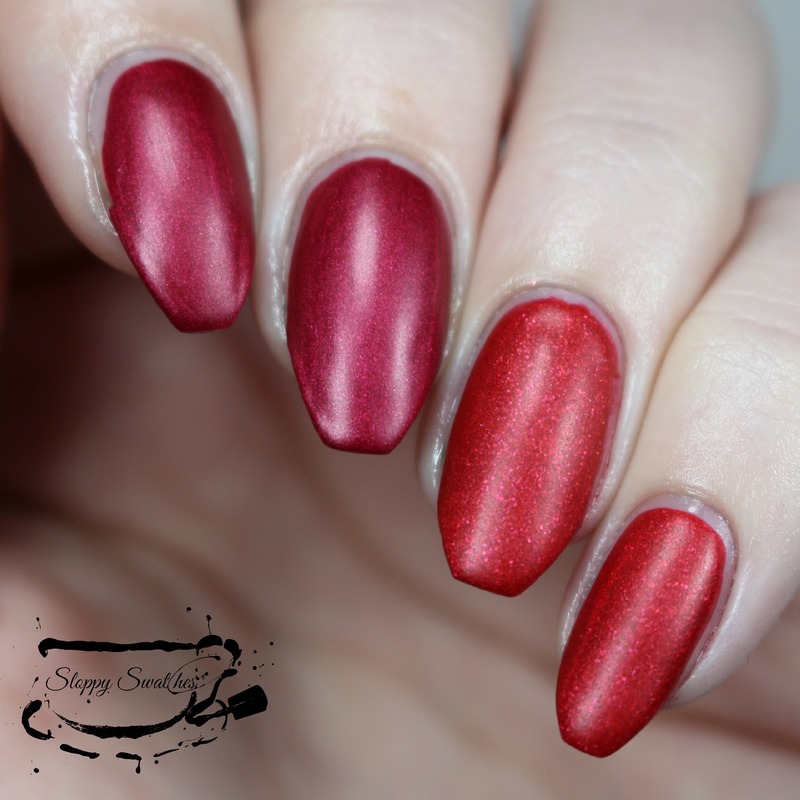 Gorgeous swatches, great post! Thank you for comparing them! Thank you so much! I think these have the same finish as last year’s, a matte finish but with a ton of sparkle! 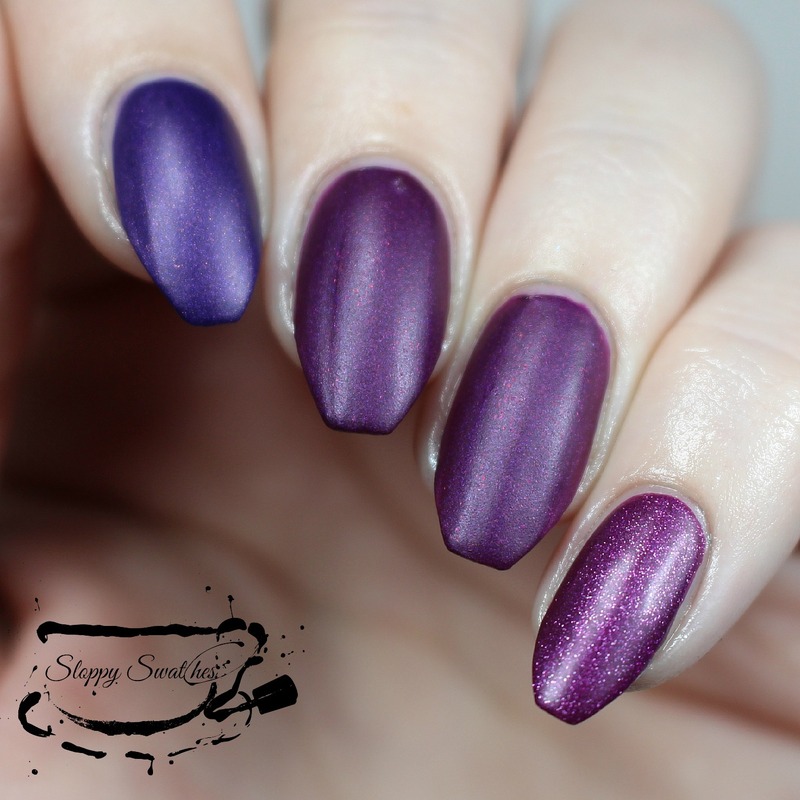 I don’t think of them as a true matte though they are a little more matte than the satins. Hope that helps lol! I love comparison posts, I also love the matte velvets and the new ones look amazing. These are great. It really helped me pick the few I wanted. Yay I’m so glad! Thanks so much for reading!! Good thinking with the comparisons! Stunning swatches! lol the struggle is real!! Thanks so much for reading! Veruschka actually first came out in Winter of 2009 with Savita and Harlow. 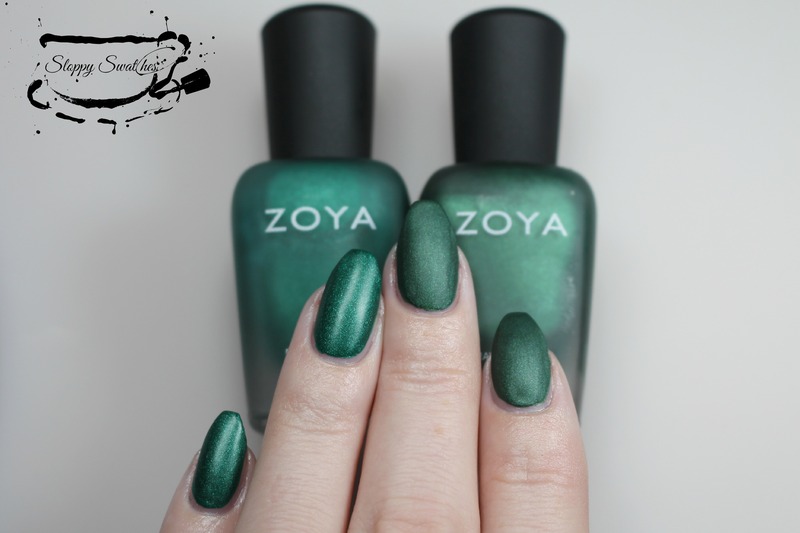 Zoya just did a re-release last year. I wish they would re-release Phoebe. She is the only one of the Mod Matte Collection that I don’t have and she is really hard to find for a decent price. The few times I have seen it for sale online it was WAY too expensive…it is on ebay right now for $70 and $75. That is just ludicrous..